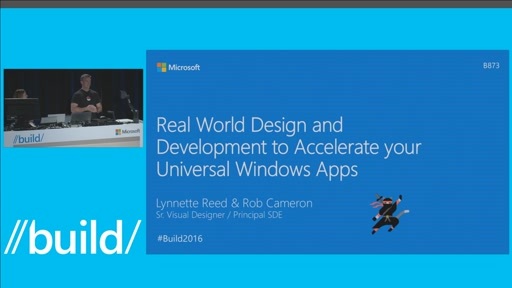 Lynnette and Rob will walk you through a premium sample app built on the new Universal Windows Platform. They’ll demonstrate how the sample app’s UI model and user experience translates on each device family (phone, tablet, PC, Xbox One, Surface Hub), and they’ll showcase the capabilities of the Universal Windows Platform. 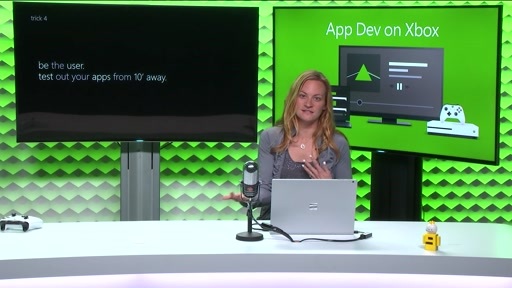 Lynnette will discuss the practical design considerations that go into building a multi-device Universal Windows app. Rob will talk about how to tailor the sample app and quickly get it up and running on multiple devices. 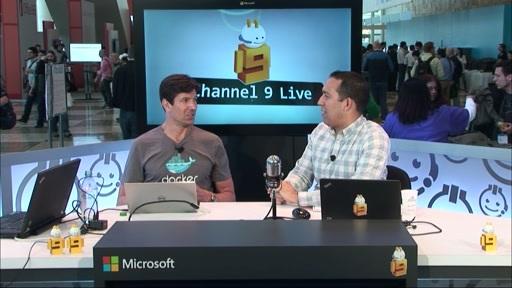 He’ll also share some of the key nuts-and-bolts implementation details along the way. For follow-up conversation on this session and the sample app, follow #UWPDesign on Twitter. Thanks! Any idea when we can get our hands on the sample app? Following #UWPDesign but perhaps here would be a better place? Hi There, Apologies for the delay in responding. It's still early days with the platform and we are working through issues as fast as possible. Our goal is to ship the templates before the end of June. 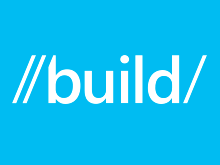 Curious, are you more interested in XAML or the Web Programming model version? Hey eslGman, thanks for pinging me. I ran into some platform bugs on the phone platform that blocked development of a "real" WinJS app on phone. Those bugs have been resolved so I'm focusing on tailoring for phone and final cleanup at this point. Also, WinJS will not have a MediaPlayer control until early August. Once the final tools / SDK's release later this month and I can integrate with the August release of WinJS, we will do a test pass and then publish. If looking for the XAML version, we will test with the final tools / SDKs and release early August as well. Thanks! Where will it be published? On https://dev.windows.com/en-us/design? Any News when and where the XAML Sample will be available for download? Is the download for the XAML sample available?